Hitting out at the Bharatiya Janata Party (BJP) over the current law and order situation in Uttar Pradesh, the Samajwadi Party on 30 may said that the saffron party should follow the footsteps of the previous government in order to bring prosperity and development in the state. "The BJP Government is delaying in doing all those works which were started by the Samajwadi Party under Akhilesh Yadav. There were some plans for the state decided by Akhilesh Yadav which would have resulted in its betterment. 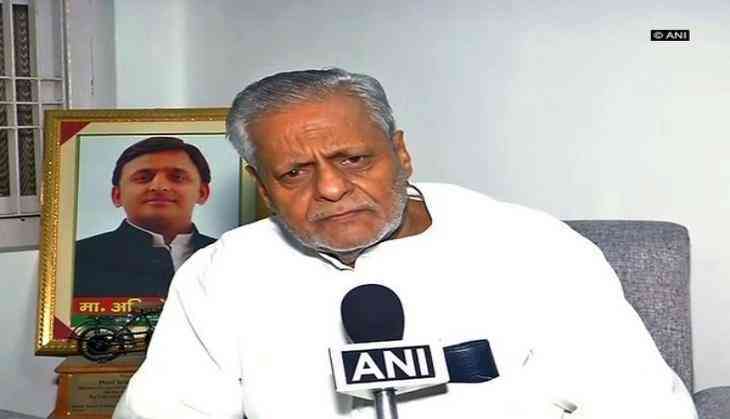 If the BJP follows the footsteps of Samajwadi Party and follow the work and development done by it then the state would prosper," Samajwadi Party leader Rajendra Chaudhary told ANI. He added that the BJP Government is irritated with Samajwadi Party's system and was blocking several developmental proposals. "The BJP is only holding Cabinet meetings for the past 70 days and doing nothing. Also all those developments brought up by the Samajwadi Party should be veiled by the BJP as the public knows everything," Chaudhary said. He asserted that the state is waiting for the BJP to fulfill its promises, adding the crime rate in Uttar Pradesh has increased immensely. "The BJP wants to promote communal riots through its policies. The law and order in Uttar Pradesh now cannot be controlled by this party since its members are not obeying the law anywhere," he added. Meanwhile, the social media was set on fire, after a video showing two women being molested by a group of men in broad daylight in Uttar Pradesh's Rampur surfaced.